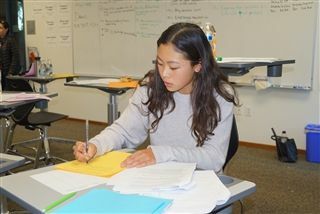 On Dec. 1, Windward’s Debate teams achieved remarkable success as both the Middle and Upper School teams competed in unique matchups. 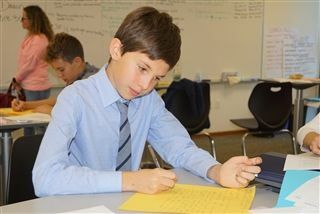 On campus, the Middle School Debate team hosted the annual Windward Debate tournament. Competing against participants from surrounding schools, the Wildcats successfully debated two topics: "The United States Federal Government should cease weapons sales to Saudi Arabia and impose economic sanctions," and "Rent control in California does more good than harm." The fierce debating from all teams earned Windward first place in the school category. Tessa Weiss, Amanda Solomon, Ben Mayer—First place team (with the only undefeated record of 4-0). 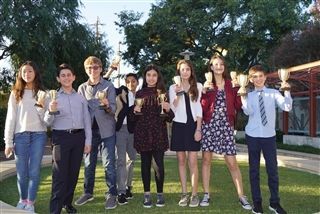 Across town, the Upper School Debate team competed in a Western Bay Forensics League tournament at Culver City High School. There, they debated topics covering a range of issues, including policies of private prisons, the justifiability of relations with Saudi Arabia, and the sociological links between higher education and social inequality. Ben Pearson and Max Lamishaw - Second (with an undefeated record of 3-0).